What is a Trekker Ted you ask? Well, Trekker Teds are hand made little dolls that come to us from Australia. About 3 years ago I met two marvelous women, Sally Piper and Nel de Blue who gave us several Trekker Teds for delivery to sick children. Since then we have received two more deliveries. 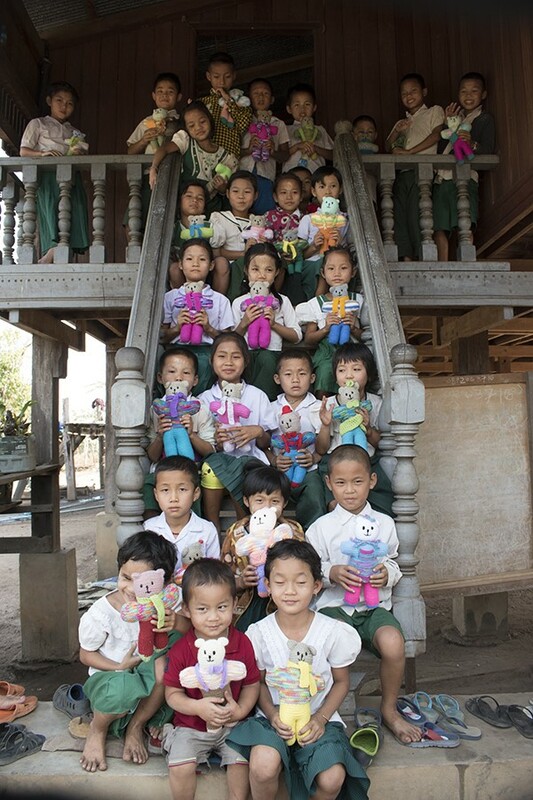 The dolls are handmade by volunteers in Australia, many of whom are retired ladies. Nel de Blue tells me that a wonderful lady by the name of Annie Hoogeboom from Lilydale Australia is organizing the knitting in retirement villages and among her friends. 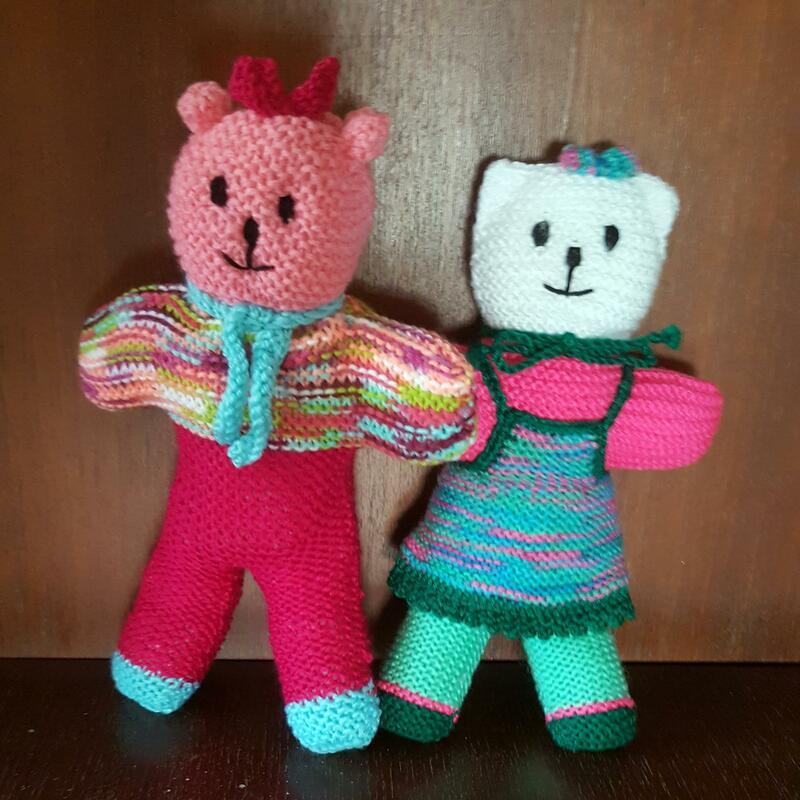 I’m told that making the Trekker Teds give them a sense of accomplishment and knowledge that they are contributing to needy children in a very important way. I recently met with Eileen Murphy and Jovo Cirkovic, the co founders of Happy Hands Foundation. They had been asked by Nel to deliver Trekker Teds to me for use by Chiang Mai International Rotary Club. We had coffee here in Chiang Mai and they gave me two bags full of these marvelous dolls. I didn’t count them but I’m guessing there were about 100. The very next day I took one bag with me to Mae Sot and then on to Ker Gaw village in Karen State, Myanmar where we were going to celebrate the opening of a health clinic sponsored by BCMF. We gave out all of the dolls to the children, starting with the youngest. I don’t know for certain, but it’s easy to surmise that the Trekker Ted may be the only toy that belongs to any number of these children. My heart-felt thanks to the Trekker Ted ladies and supporters who make this sort of thing possible. The remaining Trekker Teds are designated for the BCMF B.K.Kee patient house to be distributed to the young children who come to receive treatment in the Chiang Mai University hospital because their condition is too severe to be treated in Mae Tao Clinic or Mae Sot Hospital.